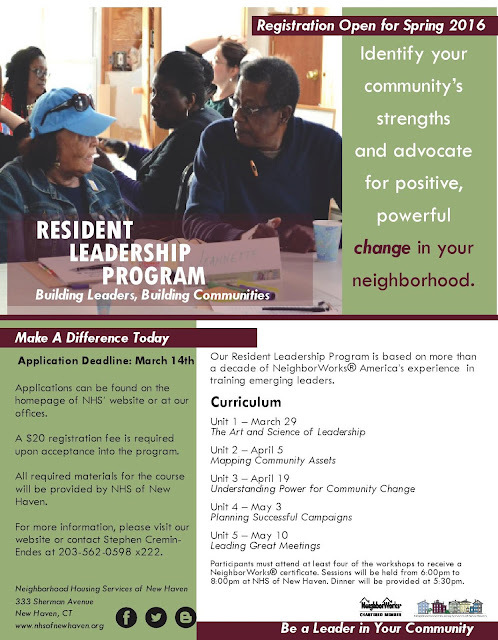 Apply Today: Resident Leadership Program! Applications for the Spring 2016 Resident Leadership Program are currently being accepted! Click here to download the application. 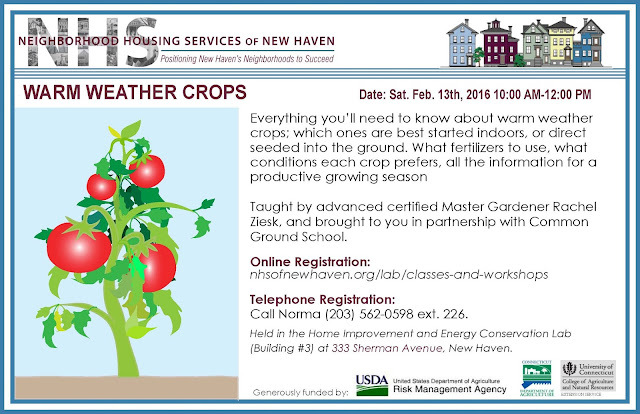 Please contact Stephen Cremin-Endes by email or phone at (203) 562-0598 ext. 222 for details regarding our Spring 2016 series! The New Haven Food Policy Council (NHFPC) meets on the third Wednesday of each month at the bright and early time of eight in the morning. The meetings are held in City Hall, which is technically not open until nine. Attendees knock on the door to be let into the building and slip into one of the conference rooms upstairs. Despite the early hour, meetings are very well attended! The NHFPC is comprised of several working groups, all addressing different food issues. There’s the Food Assistance Working Group (called “fawg” for short), which is working to improve communication between food pantries and track who is using emergency food assistance programs; the City Farm and Garden Working Group, which aims to increase community gardening and access to locally grown food; the Cooking and Food Education Group, which runs cooking demos and also trains people to teach others to cook; and the School Food group, which works to increase access to meals in schools year-round. These working groups exist because people who care decided to work on the issues they care about. For the last few months, the NHS Community Building & Organizing staff have been working with New Haven Food Policy Council members to address food insecurity in Newhallville. This project, too, arose from people passionate about their neighborhood deciding to improve it. The Sustainable, Organic, Unprocessed, and Local Food (SOUL Food, for short) working group, led by Tennille Murphy of Kidz Kook, developed out of a strong desire to focus specifically on food issues in Newhallville. The SOUL Food coalition aims to increase access to healthy, locally grown food, to create jobs for residents by developing an indoor farm and a community kitchen, and to support working people who want to eat healthier but don’t know how. Through this work, the SOUL Food coalition intends to beautify and revitalize the Shelton-Ivy intersection, turning each of the four corners (The school, the Ivy Street Greenhouse, St Andrew’s Church, and the abandoned lot) into a vibrant hub for community gatherings, learning opportunities, and delicious food. Why is NHS involved in a food project? Of course, food is a central theme in this work, but it is not the only theme. Healthy food and good jobs are part of healthy neighborhoods, and residents become neighbors when they break bread together. We are excited to be able to support a resident-driven, grassroots project, and we can’t wait to see what comes of this exciting work. Join Us! Ribbon Cutting: 141 Newhall St! Date Announced! 7th Annual Family Festival! New Haven, CT — Neighborhood Housing Services of New Haven, positioning neighborhoods to succeed for 36 years, announced today that their 7th Annual Family Fun Festival will take place on NHS’ campus on Saturday, May 7, 2016. The festival, which has become a community staple with participants from all over Connecticut, has featured past themes such as Entrepreneurship, Health & Financial Literacy, Environmental Awareness, and Family Fitness. The Festival is a chance to honor both the diversity and spirit of the New Haven community and beyond. The 2016 Festival theme, Paint the Town Green, will promote environmentally-minded initiatives and encourage families to do their part to preserve the Earth. As an opportunity to bring neighbors together, build community, and have fun, the Festival strives to provide a space for people of all ages to enjoy and celebrate all that New Haven has to offer. Admission is free and includes games, food, and activities. Most, if not all, of the food, activities, and entertainment groups will be from New Haven and will introduce a “green” element to participants. 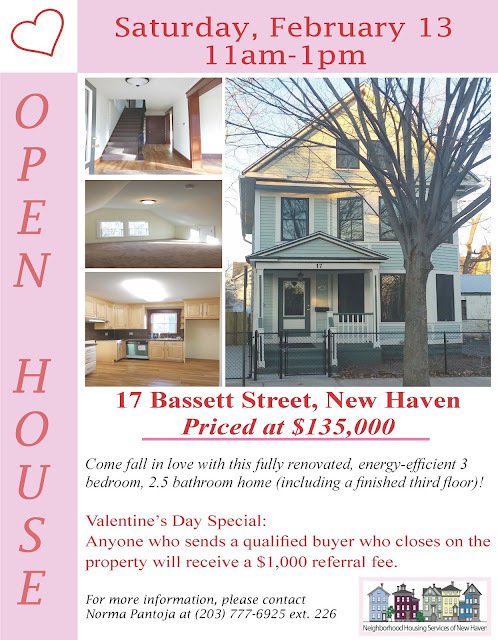 Neighborhood Housing Services of New Haven is part of the national NeighborWorks® network, an affiliation of more than 230 nonprofit organizations that increase homeownership, produce affordable housing and revitalize neighborhoods in more than 4,400 communities across the nation. The NeighborWorks® network was founded and is supported by NeighborWorks® America, which strengthens the network through training, technical assistance, and funding. Upcoming Garden Workshop: Warm Weather Crops! Upcoming Garden Workshop! 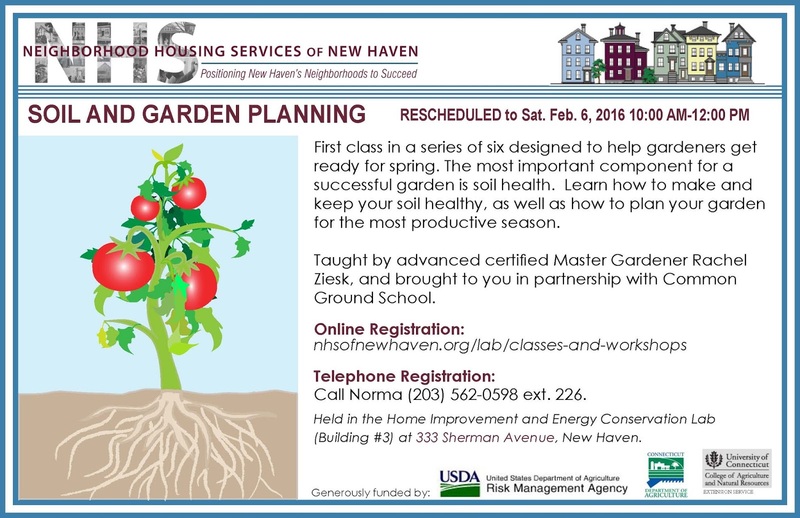 Soil & Garden Planning! We wanted to share with you this incredibly powerful video for Emerge CT created by the United Way of Greater New Haven. NHS of New Haven has been utilizing Emerge as part of our contractor force for nearly four years. They are adept at gutting buildings, constructing fences, constructing bases for lamposts, installing and maintaining landscapes, and snow removal. Emerge has been 100% reliable and is a dependable partner in our efforts to revitalize New Haven’s neighborhoods. It is a well-managed organization that has served NHS’s as well as their core mission very well. 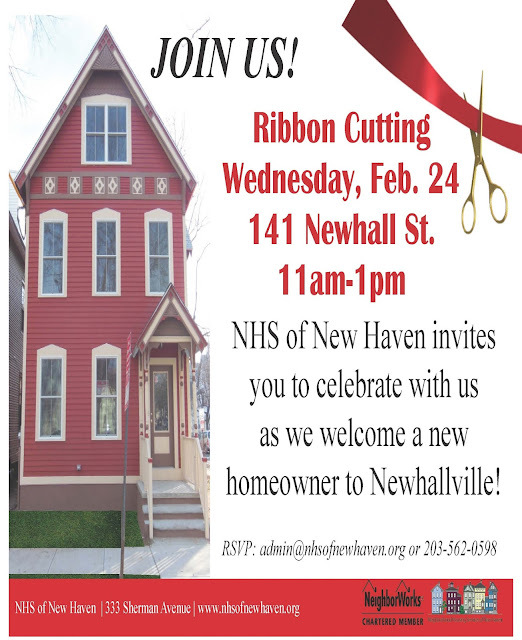 NHS prides itself on the fact that although our focus is on rebuilding houses, we recognize that rebuilding lives also rebuilds neighborhoods. The people of Emerge CT, both managers and workers, have been a pleasure to work with and are very efficient at performing whatever task we employ them to accomplish. We hope that this relationship can continue for many years, to the benefit of all involved.